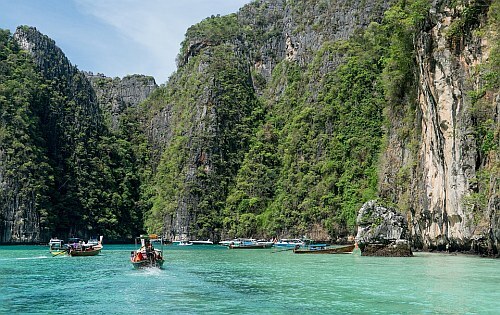 China Eastern has dropped the price of their flights in late fall and January from Edmonton to Phuket, Thailand down to between $741 and $755 CAD roundtrip including taxes. The flights have two stops each way, in Vancouver and Shanghai. NOTE: Once your search completes on Momondo, slide the 'Max Flight Duration' slider on the left down to around 55 to see these flights. If you don't, you may see some flights that are cheaper, but significantly longer. edmonton, yeg, flight deals, asia, thailand, southeast asia, china eastern airlines, phuket and hkt.